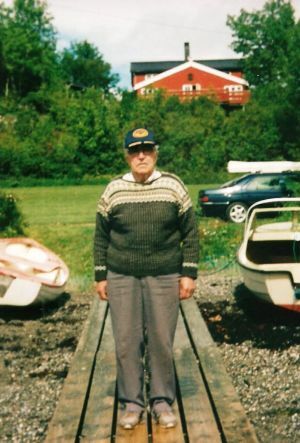 Go to "Snarken History Part 3"
Odd Hermanstad Östlund, born in Trondheim July 23rd 1910 died in his own bed on March 24th 2008, nearly 98 years old. His father Ole Östlund, was for many years vicepresident of Trondhjems Yachtclub and owner of 8mR(old) "Lucie IV", Johan Anker 1912. 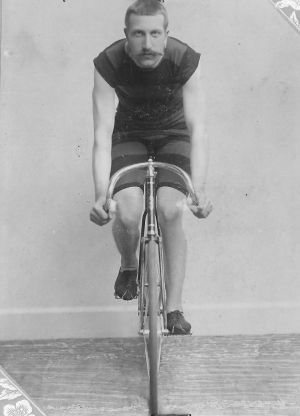 Ole Östlund was in the 1890-ties one of Euoropes most winning track bicyclist together with Wilhelm Henie, father of the famous figure skater Sonja Henie. 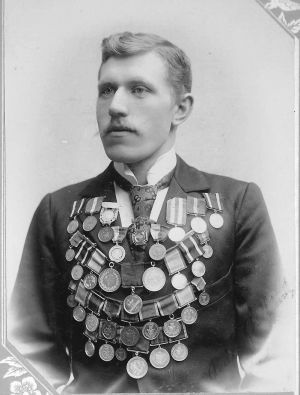 Ole's elder brother Peder Östlund was Norways first world champion in speed skating 1898 and 1899. In 1902 the brothers went to the USA . Peder visited first time USA in 1895 when he raced the American skate champion John Johnson. They won each race. Ole and Peders father Johan Persson Östlund emmigrated to Norway in 1871 under the name of Östlund. 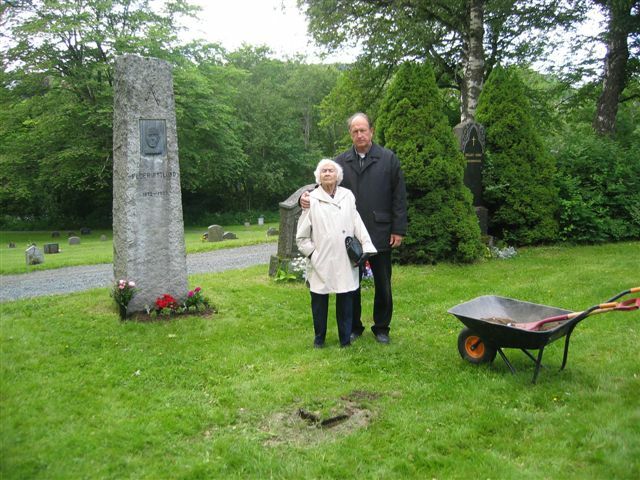 Ole's mother, Johan's wife, was Anna Mathea Bjerke from Vestre Toten. Her descendants took part in establishing the world wide known Jotun Paint producer. Remark of March 2013; Anne Mathea Østlund's relationship with Jotun Paint is later found to not be correct. Anne Mathea was born 1835 and her father was Niels Peders Bjerke. After her father died she lived at the Family residence at Alfstad, Toten, 1851-1867. The founder 1880 of "Alf Bjerke Paint" who in 1970 merged into Jotun Paint had a sister born 1844 named Anne Mathea Bjerke born at Eidsvoll close to Toten. This has likey caused some "confussion" - mixed identities - all up to this very day? In 1905 one of Ole and Peder's coussins from Hackaas outside Östersund in Jämtland, Sweden, emmigrated to the USA and took the name Johnson (the Johnson family has grown in Illinois ). 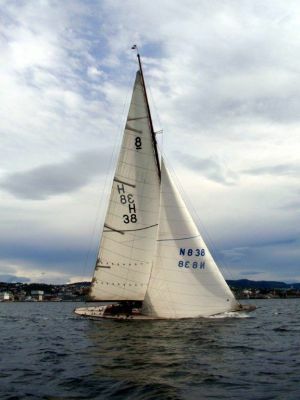 Returning to Norway in 1905/06 Ole comenced his yachting interest and in 1909 he married Johanne Hermanstad, daughter of seacapten Hermanstad who in his younger days (mid 1800) sailed on the far East . Ole's sister Brita married seapilot Ole Svendsen and their daughter Elsa married officer Chatham and emmigrated to UK. They got a daughter named Sonja. 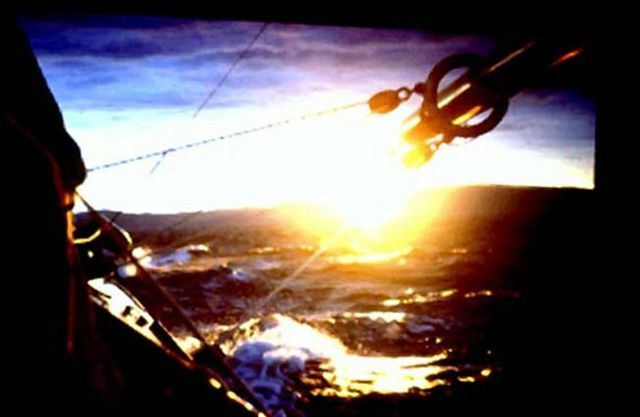 As such my father, Odd Hermanstad Östlund was raised in close contact with the sea. 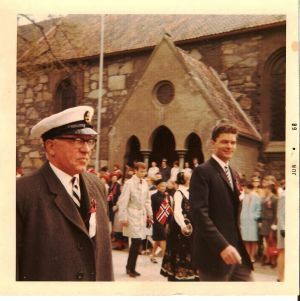 He himself bacame a naval architect and served for many years as a surveyor for DnV (Det norske Veritas) before he in 1960 became director of a shipyard in Trondheim where he served for the rest of his professional career until 1978. 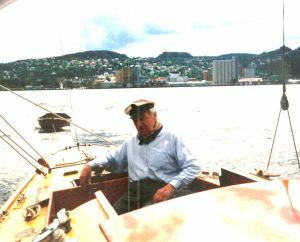 As DnV surveyor Odd H.Östlund served with his family, wife, son and daughter in Newcastle (1952), Dundee (1953) , Aberdeen (1954), Gothenburg (1955-57) and Kragerø (1957-1960), when he found "Elcoma" ("Snarken") standing in a shack at Askeröya. Before WWII Odd Östlund served at the Navy Yard in Horten. 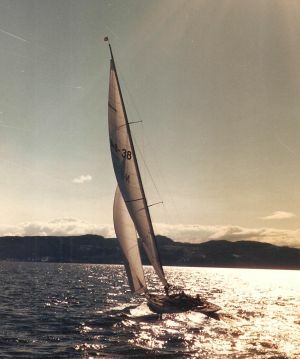 During wartime he became part of the resistance movement and was jailed while constructing a slipway at Abelsvär in North Trondelag. He was prissoned at Vollan, Trondheim fall 1944 where he remained until freedom came in May 1945. 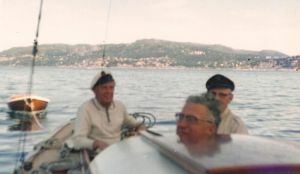 The leader of his Milorg group Öwre Johnsen, also member of the Yacht Club, fleed to Sweden, however, although my father was warned he decided to not flee and as such protect his wife and parents from reprisals from the Germans. 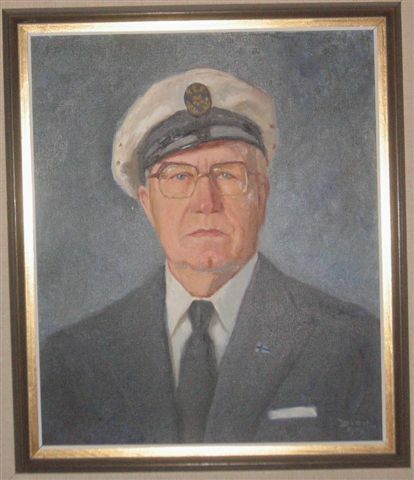 Odd H. Östlund was for some years after the war elected President of Trondhjems Yachtclub and resumed President when arriving back to town in the 1960-ties. 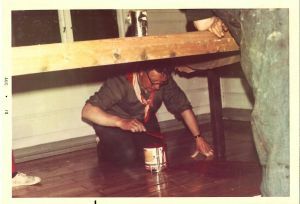 His younger brother Arne studied in the 1930-ties at the University of Oslo at Blindern. He made himself known as "Kongo" due to his skill in athletics, track and high jump. During wartime Odd Östlund, after years of courtesy, married Else Sörensen born 1914, and who in 2010 is still going strong 96 years of age. Else is daughter of Christian Sörensen who owned 7mR "Komet", and for living was running one of Trondheims most well reputated Tobacco shops. His wife and mother to Else was Nicoline Aksnes from Leksdalen close to Stiklestad, Värdal. Nicolines brother Peter emmigrated to the USA where he took the name Benson. Odd and Else got two children, Else-Marie (1946) and Ole Christian (1947). with 8mR (old) "Lucie IV"
go to - Log Lucie IV. go to - "Snarken history part III"